First Light Upgrades SCL Commercial Solar Luminaire - First Light Technologies Ltd.
Victoria, BC – First Light Technologies has announced its SCL series commercial solar area light has been significantly upgraded. As part of the company’s mission to deliver continually better solar lights, First Light has enhanced the light’s form, internal design and controller to improve performance and reliability. The result is a unique shoe box style solar fixture that will produce more light, have more lighting performance options and have even better reliability. The SCL now features motion sensing capabilities, wireless app controls and more lighting profile options, including real-time based lighting profiles that will dim or turn off a light a certain time. The light output of the SCL series has also increased to between 860 and 1075 lumens of light depending on its location and the chosen lighting profile. 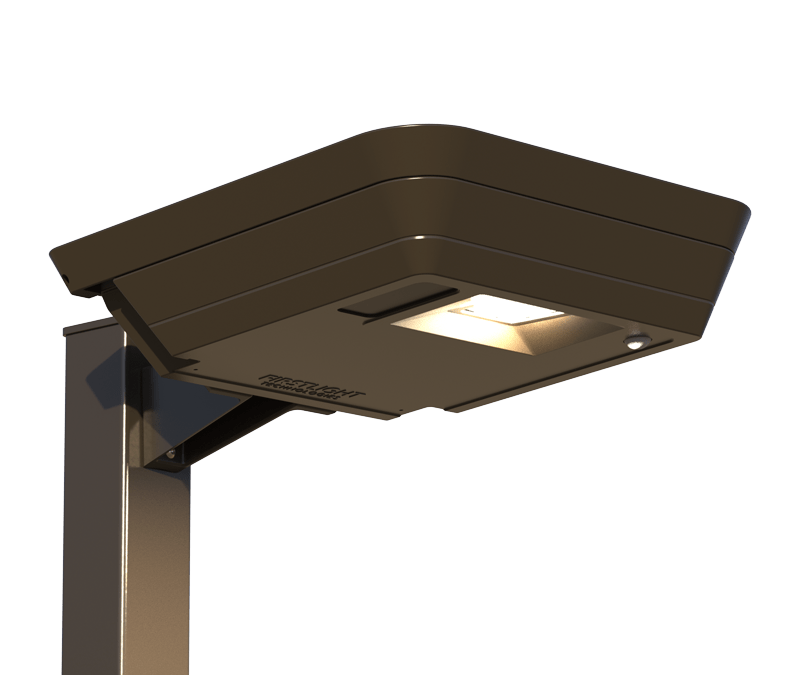 The SCL series has been a popular choice across the U.S. for projects in need of outdoor lighting because of its unique self-contained design and the elimination of the need to install electrical wires. This has resulted in significant savings for organizations and municipalities while also offering immunity to power outages and no ongoing carbon emissions. The new SCL is the latest in a series of focused improvements made to First Light products in its drive to provide better, simpler solar lighting. The company also recently announced a major improvement of it’s IPL architectural light and the introduction of real-time based lighting profiles in it’s luminaire products. The improvements are based on a continuous improvement program that incorporates feedback from customers, the results of an extensive long-term testing program and years of real-world experience in the field. The aim is to give customers more options to optimize light levels when users need it, and to further demonstrate that First Light products are the simplest way to light outdoor spaces. The self-contained, unobtrusive design of the SCL series integrates solar power, adaptive control and LED technologies into a compact and efficient form. Robust construction and unparalleled performance combine to make this luminaire an excellent fit wherever cost-effective, full cutoff lighting is required. The SCL series incorporates our innovative Solar Lighting Controller (SLC) which makes all of our solar lights “self-learning.” This allows the light to predicatively adapt to their surroundings, providing lighting performance and reliability unmatched by other solar lighting products. First Light Technologies designs and manufactures commercial grade, self-contained solar lights. The company is dedicated to pushing the potential of sustainable, pedestrian-scale solar lighting by constantly striving for better and simpler solutions. Founded in 2009, First Light has over 17,000 luminaires and bollards installed in more than 30 countries. 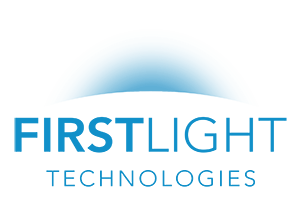 For more information, visit www.firstlighttechnologies.com.